The E-M1 mark II was released in late 2016 and had impressive specifications for its time. The fast sensor readout, in addition to providing burst speeds of 60fps with the electronic shutter, also allowed for the implementation of interesting functions such as Pro Capture. 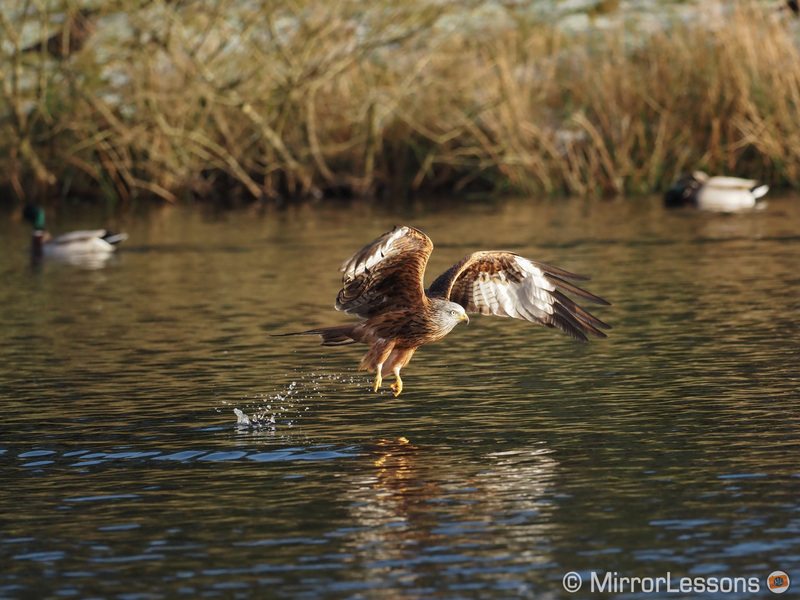 The image stabilisation was state of the art and various features including the High Res Shot mode made the E-M1 II one of the most advanced mirrorless cameras at the time. Not everything was perfect however. The autofocus, while improved compared to its predecessor, wasn’t the best in class, and many cameras that came soon after widened the performance gap. 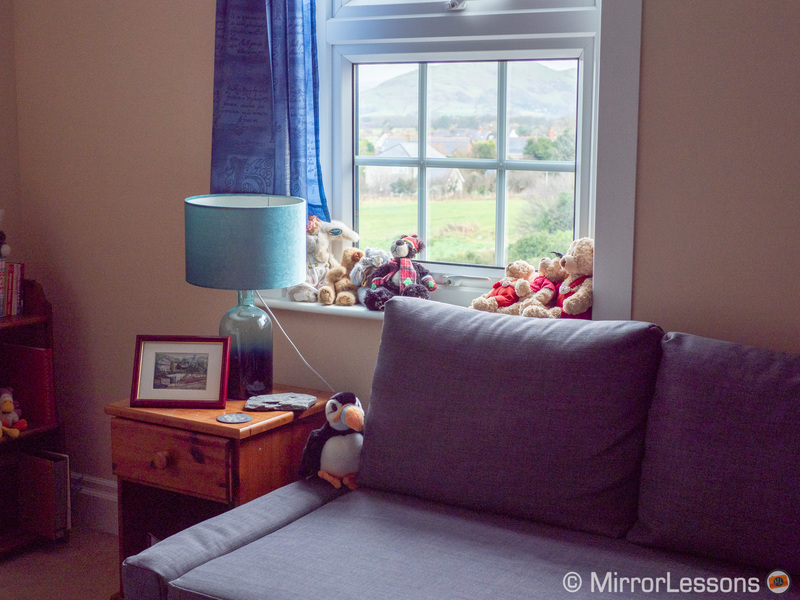 The Panasonic G9, for example, matched most of its specifications, and other products such as the Sony A9 (and Fujifilm X-T3 more recently) pushed the electronic shutter performance to new heights with the inclusion of a blackout-free live view. And although the 4K video quality was good, it wasn’t enough to attract serious filmmakers despite the stunning stabilisation. However one must not judge a company’s strategy based on a single camera. 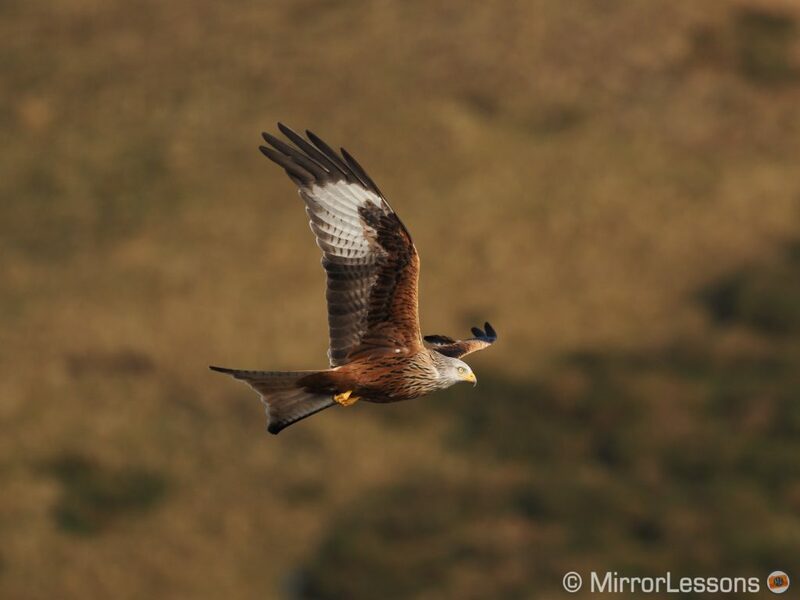 The E-M1 II, along with the nice range of PRO lenses that accompanied it, allowed Olympus to attract a niche of users interested in travel and wildlife photography by offering good performance in a compact package. 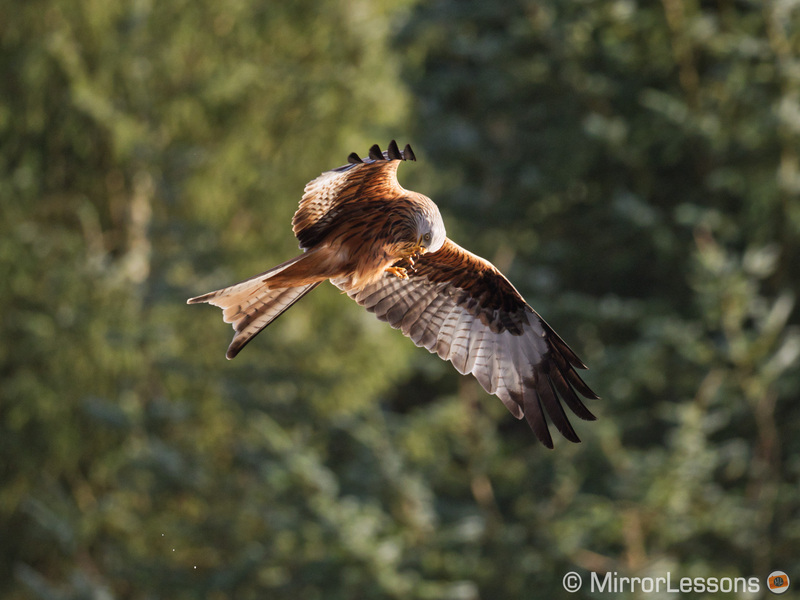 So despite not having the best image quality or autofocus system on the market, we kept this camera at the top of our ‘Best Cameras for Wildlife’ article because we felt it was the most well-rounded solution. Now, over two years later, Olympus has introduced a new flagship model. Or perhaps we should call it a Flagship with a capital F since it is the first mirrorless camera to have a built-in vertical grip, a feature seen mainly on DSLRs such as the Nikon D or the Canon 1D series. But there is more than just the design to talk about, and since we’ve already spent some time with the new camera on this occasion, we can offer you more personal feedback than our usual comparison preview articles. 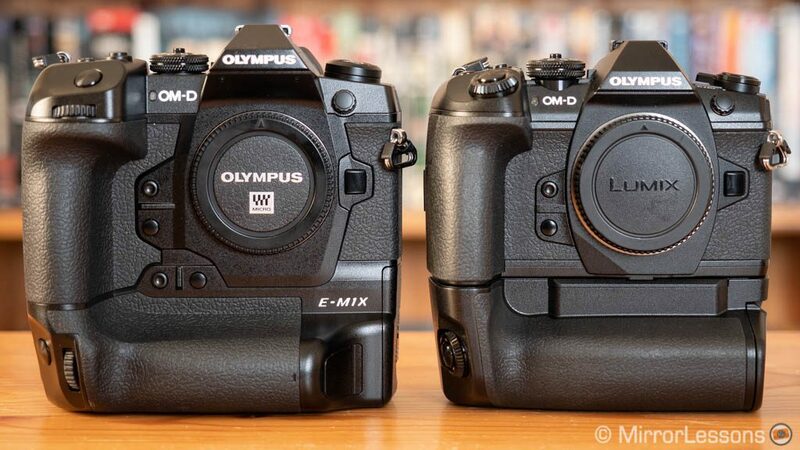 Update: our full comparison between the E-M1X and E-M1 II is online! Ethics statement: the following is based on our direct experience with the E-M1 II and E-M1 X. Within the article, there are affiliate links. If you buy something after clicking one of these links, we will receive a small commission. To know more about our ethics, you can visit our full disclosure page. Thank you! 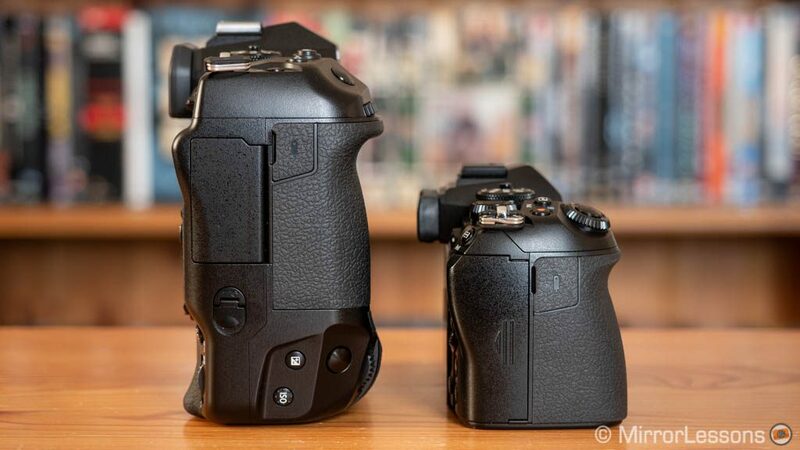 The first difference couldn’t be easier to spot: the E-M1X has a built-in vertical grip and for this reason it is considerably larger than the E-M1 mark II. If I put the optional HLD-9 battery grip on the older camera, the difference is less pronounced but the X model does remain larger. The weight doesn’t feel all that different however. I’ve always loved the design of the E-M1 II because Olympus managed to keep the camera reasonably small without sacrificing comfort. The grip is big enough for my hands and easy to use with large lenses such as the 300mm Pro. In fact, I tend to avoid battery grips in general because I prefer to keep my set-up as compact as possible. There are a few things I appreciate about the E-M1X however. The front grip is larger with a deep finger rest and the camera is built like a tank. The build quality of the E-M1 II was already good but you feel the difference right away when holding the X model. I don’t use the vertical orientation a lot for my photography so on a personal level, I would still be happier to carry around an E-M1 II, also because I wouldn’t have to re-arrange my bag to accommodate the larger design. 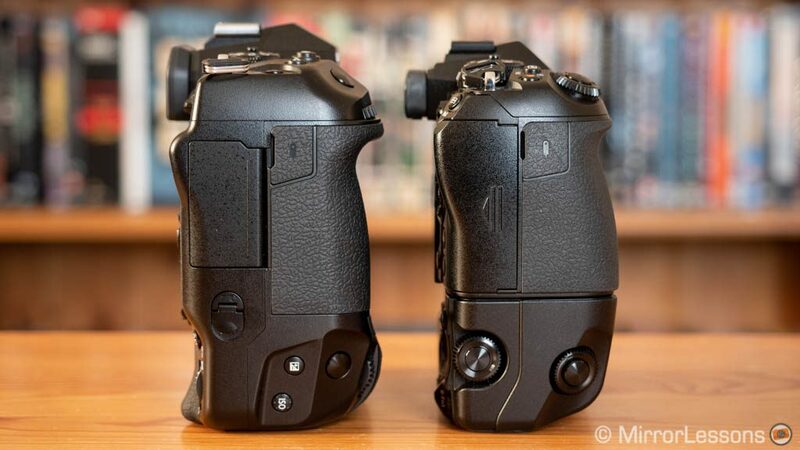 Those already familiar with vertical grips (added-on or built-in) will certainly appreciate the E-M1X’s ergonomics however. The two products share some similarities such as a magnesium alloy body and complete weather-sealing (dust, splash and freeze-proof). The E-M1X guarantees this even when cables are connected (remote, headphone and microphone ports). The new design also allows the X model to have a new and more efficient heat dissipation structure. 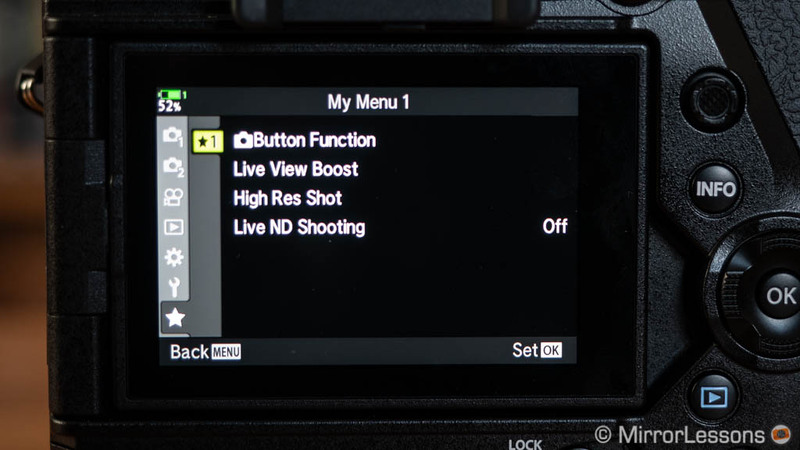 There are some upgrades to the E-M1X button layout. There is an AF Joystick on the rear that moves in 8 directions and is very precise to use. You find an extra Bracketing button on the top left side, four custom modes instead of three on the main dial, and a dedicated CARD button on the rear to switch between the two slots. 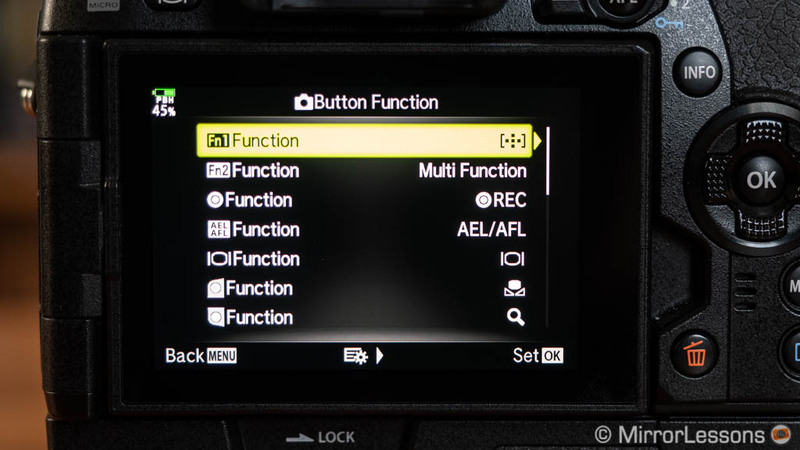 There are 12 customisable buttons including the ones for ISO and WB (the E-M1 II has 9 by comparison). Many of these buttons are slightly larger, each with a different height and shape to help you locate them more easily when composing with the EVF. 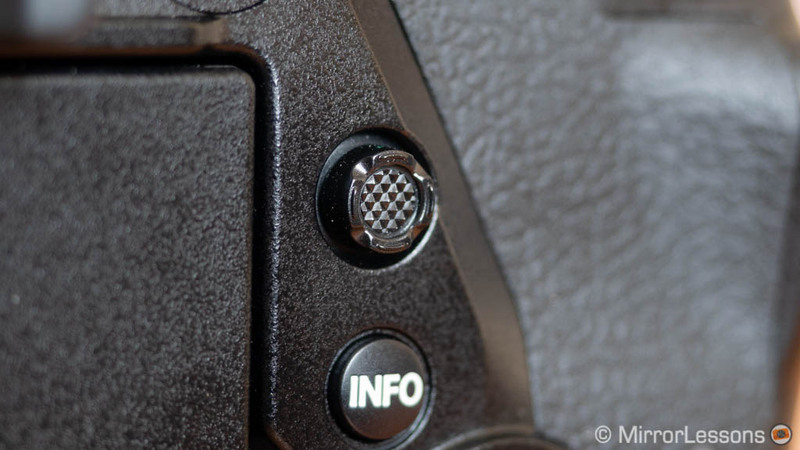 Some of the buttons, including the shutter release, are replicated for use in vertical orientation, just like the HLD-9 grip for the E-M1 II. Vertical grips can be locked and on the E-M1X there is an additional C-Lock step with which you can decide which buttons to lock. 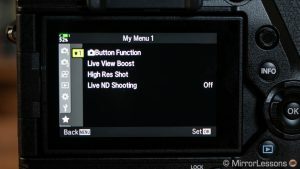 The menu system is the same on both cameras but there are a few improvements to the E-M1X’s interface. 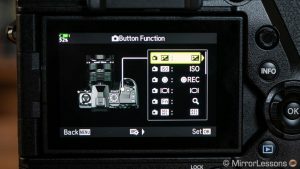 For example, the custom button menu shows you where each button is on the camera. There is also a My Menu page where you can shortcut your favourite settings. You can add new entries at any time while navigating through the menu by pressing the video record button. Both cameras have two memory card slots. 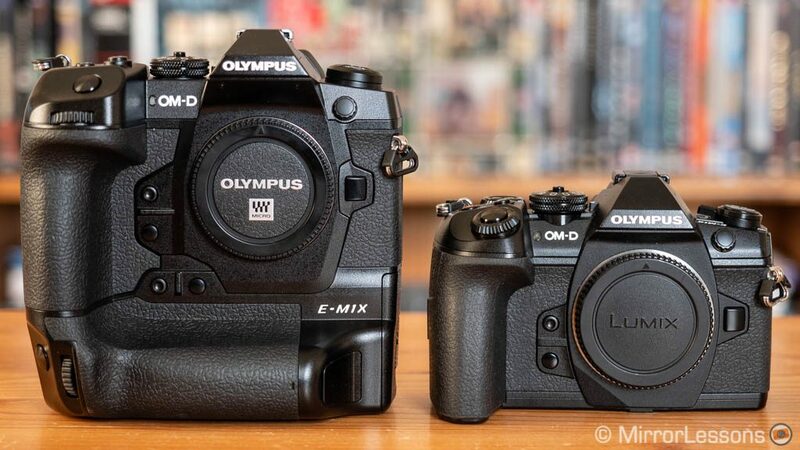 Both are UHS-II compatible on the X model whereas only slot 1 is on the E-M1 II. 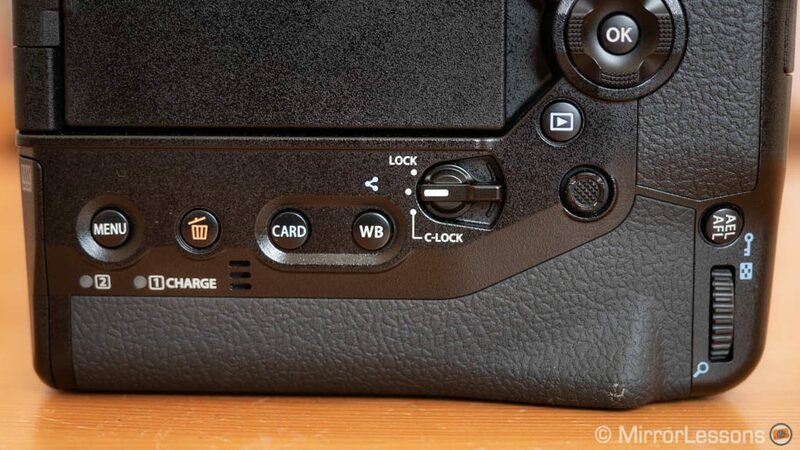 The mechanism of the compartment door is also different: on the E-M1 II you slide it backwards whereas the E-M1 X has a dedicated toggle that you lift and turn. 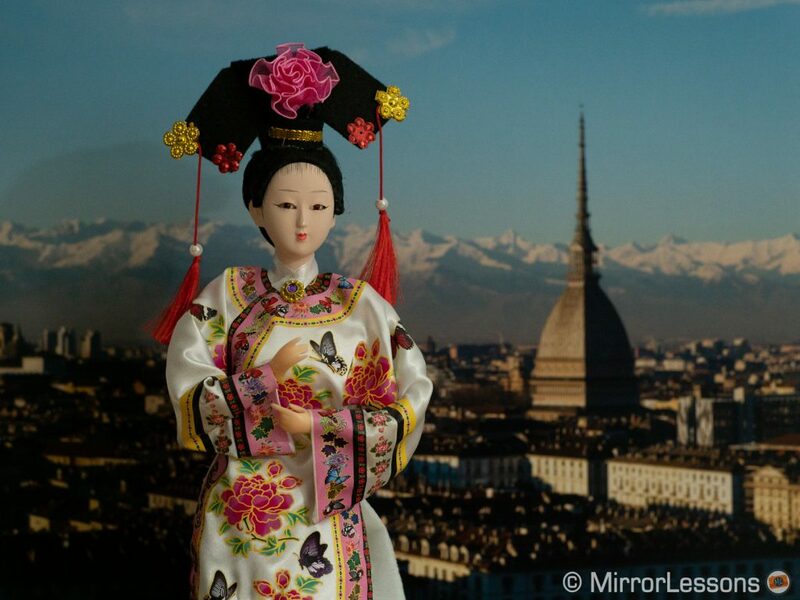 The two cameras share the same autofocus specifications: 121 phase and contrast areas with cross-type points. 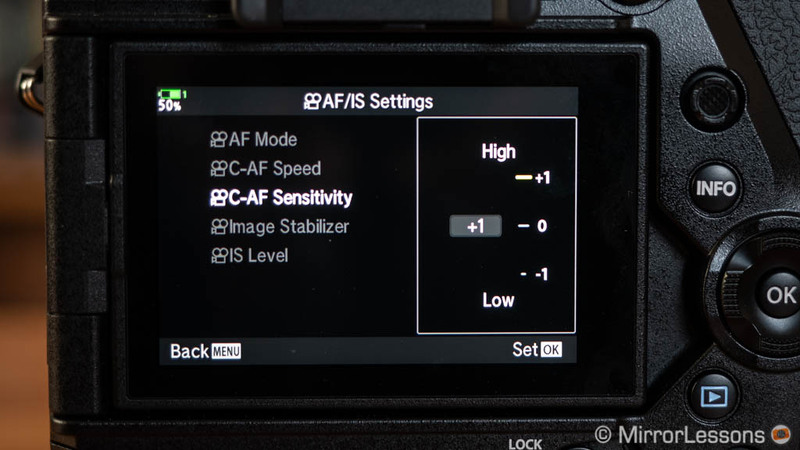 However the AF algorithm of the E-M1X has been re-written from scratch. 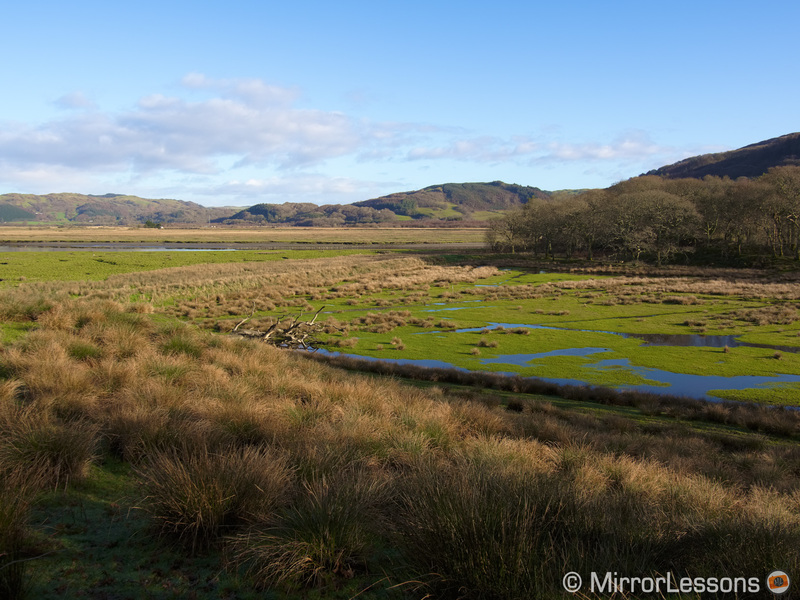 This is the first thing I wanted to review so I went straight to my favourite testing ground, the Red Kite feeding station near Aberystwyth. The flagship camera gave me a keeper rate of 74%, or 91% if I include slightly soft images. This is a significant improvement over the E-M1 II, whose score averages around 50% (or 75%). The improved performance can be attributed to various things. 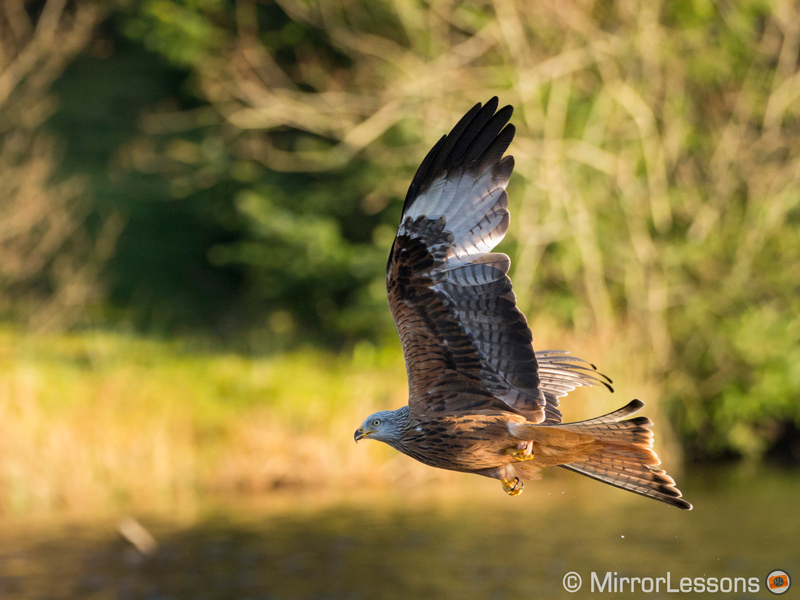 The E-M1X analyses not only the live view but also data from images it just captured. 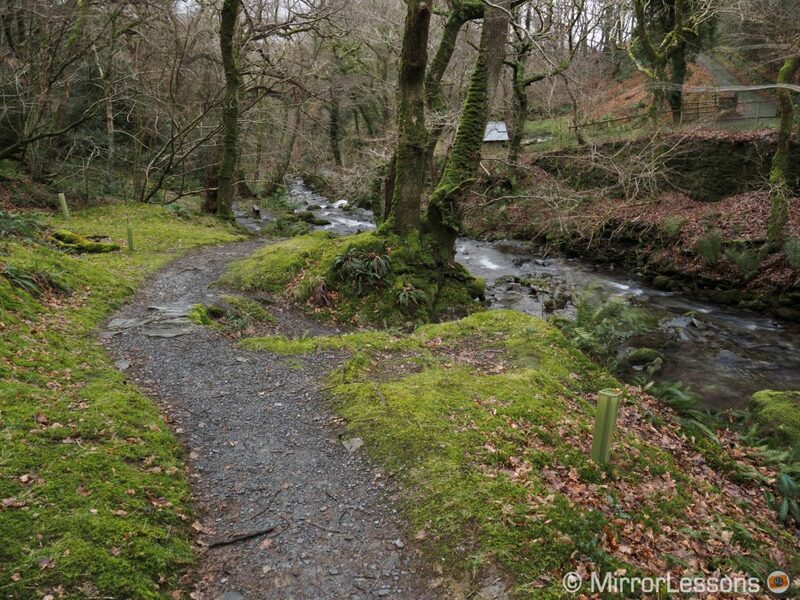 What I noticed while reviewing my photos is that the X model only requires a couple of frames to correct focus. 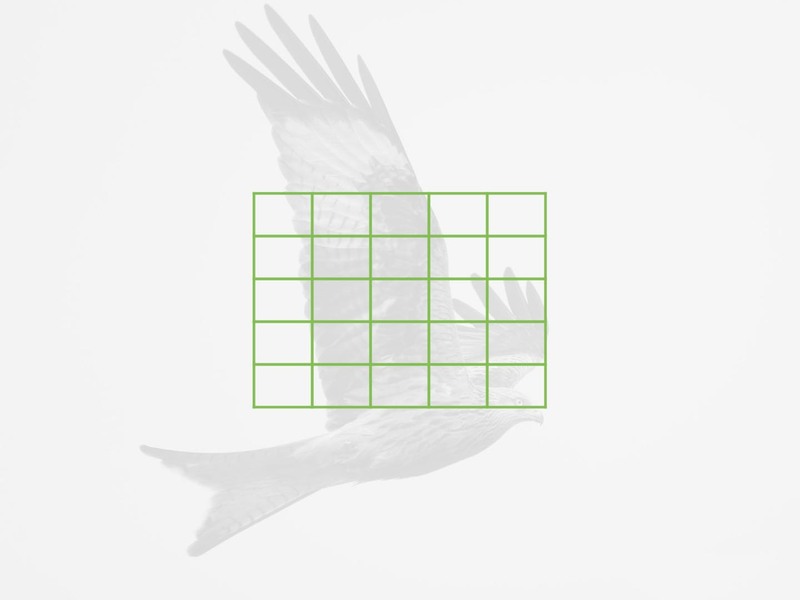 The process of locking onto the bird is quicker and more precise. 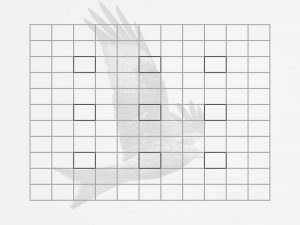 There are more sequences entirely in focus, even when the bird is flying against a busy background. 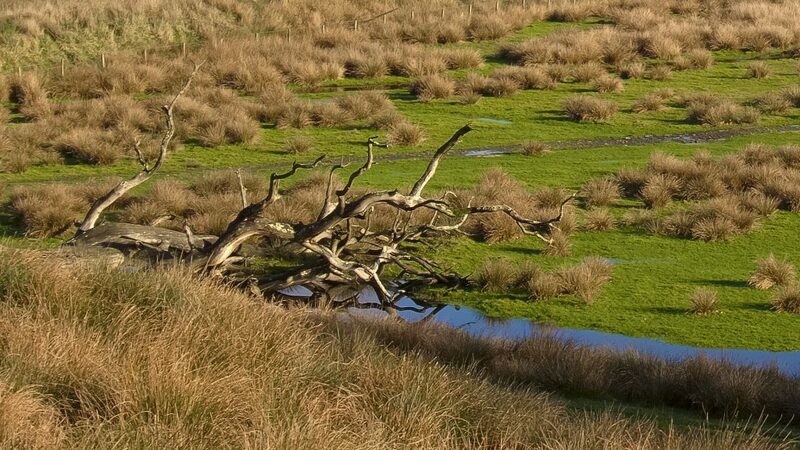 The camera seems to have a better understanding of where the subject is and which focus points to use. 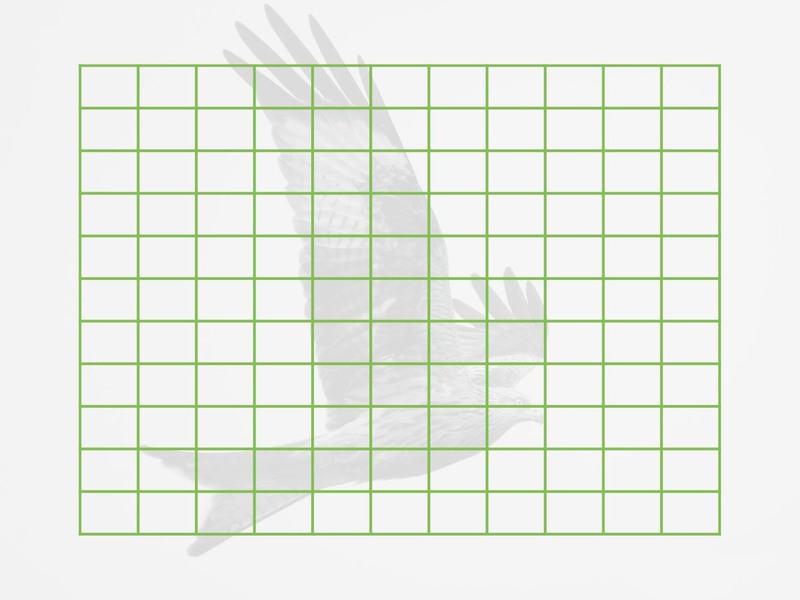 Another positive addition is more focus areas (Group Target). There is now a 25 area mode (5×5), but you can also create your own with the custom target. 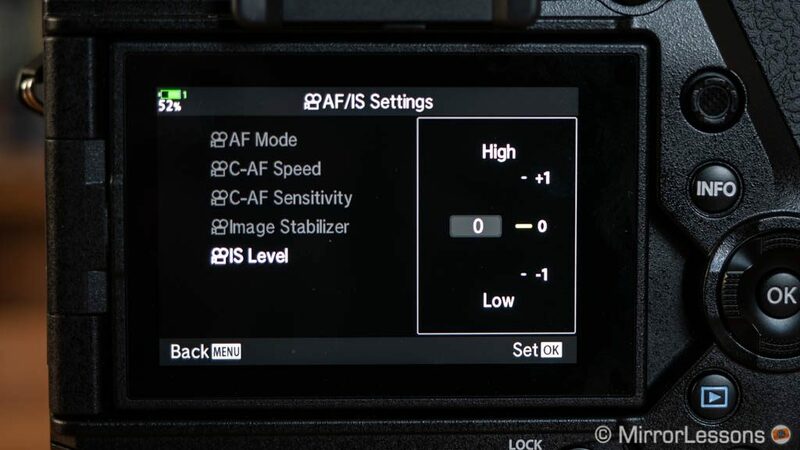 This solves an annoying limitation of the E-M1 II which only has 5-Cross or 9-Group Target modes. These areas are often too small when you want to keep the bird at the centre of your frame. I often had to rely on the All Target mode but the more AF points the E-M1 II uses, the worse the performance. The last point is something that remains valid for the E-M1 X: the All-Target mode or a custom 7×7 grid gave me the worst results. Thankfully the 25 Group mode works fine and is more than enough for this type of subject. 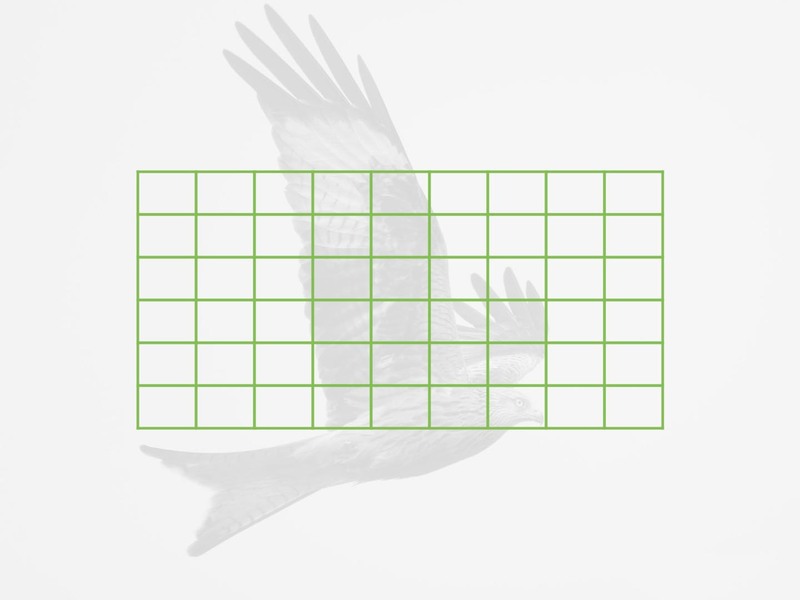 C-AF+Tracking is still unreliable however, at least for birds against a busy background. 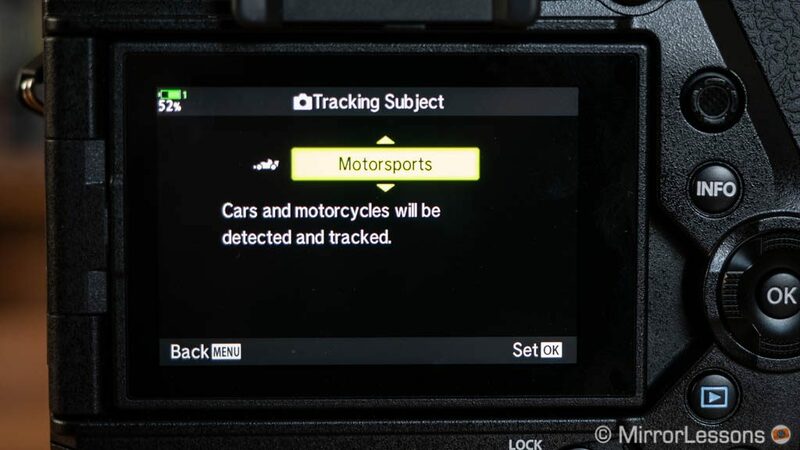 Speaking of AF+Tracking, there is a new setting called Intelligent Subject Detection: you can specify what kind of subject you’re capturing with the choice of three options: motorsports, trains and planes. Once the camera recognises the subject, it will maintain focus on the optimal zone (the driver’s helmet for example). I haven’t tested this yet but I’m hoping to take pictures of a rally race in February. I wonder if the list could be expanded via firmware to include other types of subjects. It would be great if the camera could recognise animals! The new flagship has a minimum sensitivity of -6Ev with an f/1.2 lens (-4.5Ev at f/2), whereas the rating for the E-M1 II hasn’t been disclosed. A quick test at home showed me that the new camera can indeed focus faster in very dim conditions. Both cameras feature face and eye detection and it has been significantly improved for video (more on this in the Video chapter). 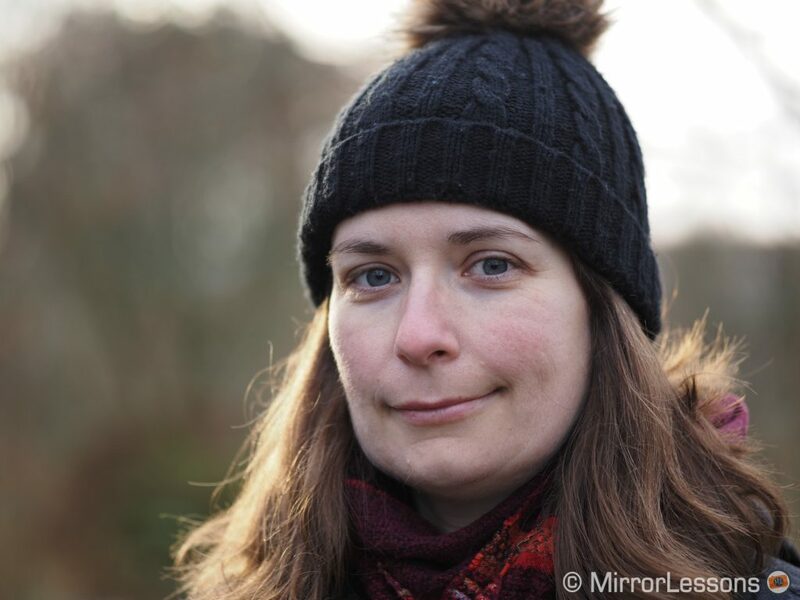 For stills I only tested it briefly with the Sigma 56mm f1.4 Contemporary and the keeper rate wasn’t great. 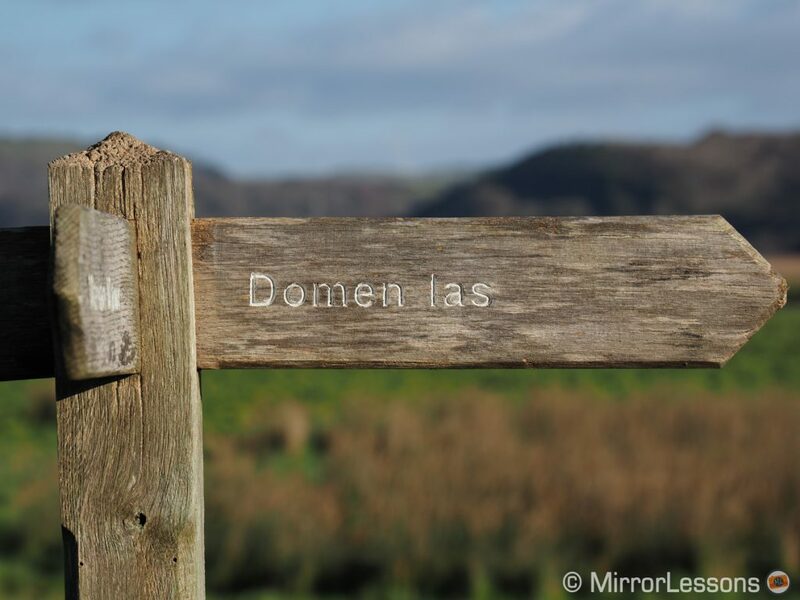 However I won’t draw any conclusions until I’ve conducted more tests with other lenses. Olympus keeps pushing the boundaries when it comes to image stabilisation and it is without a doubt the area where the company maintains a lead over the competition. The E-M1 II was a significant improvement over the original E-M1 as it allowed me to take hand-held shots between 5 and 10 seconds. I even managed one frame at 20s by leaning against a wall and holding my breath to minimise micro movements. The E-M1X has a new gyro sensor that pushes the performance even further. The official rating is 7Ev (vs 5.5Ev on the E-M1 II), or 7.5Ev when used with the 12-100mm IS Pro (vs 6.5Ev on the E-M1 II), where both sensor and optical stabilisation are used together (Sync IS). 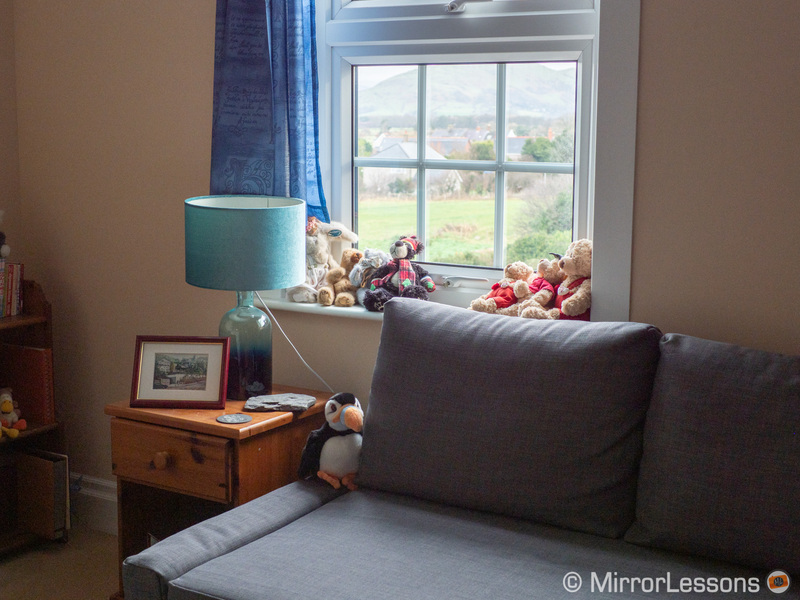 Despite what the specifications suggest, I haven’t yet spotted a relevant difference, except for the fact that 8 or 10 second shots require fewer attempts with the new camera. 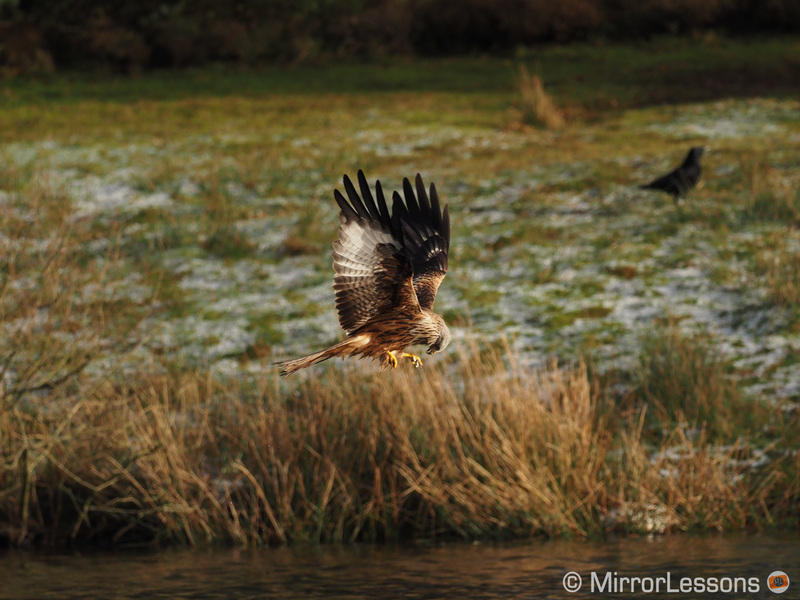 To be fair though, I haven’t spent a lot of time pushing the boundaries of the E-M1X. 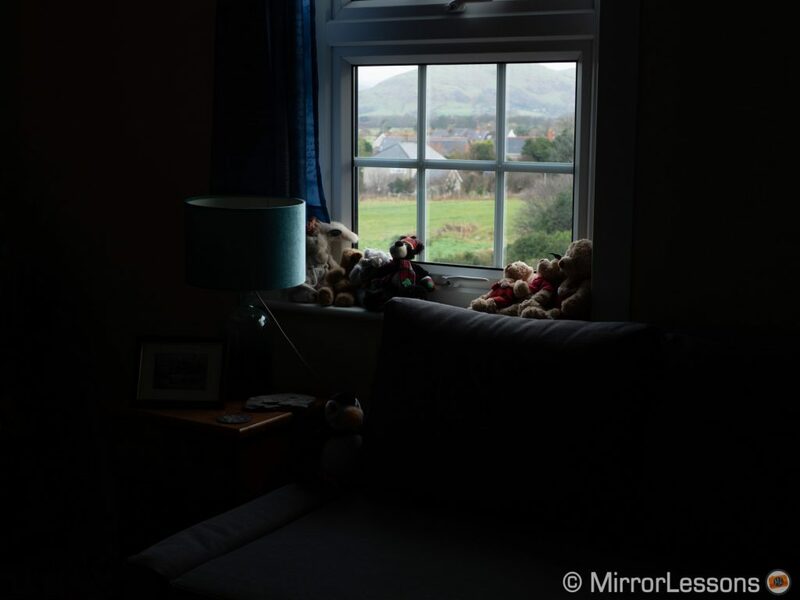 Given what I’ve already achieved with the E-M1 II, I believe it is not an easy task. After all, we’re talking about the best in class versus the second best in class. 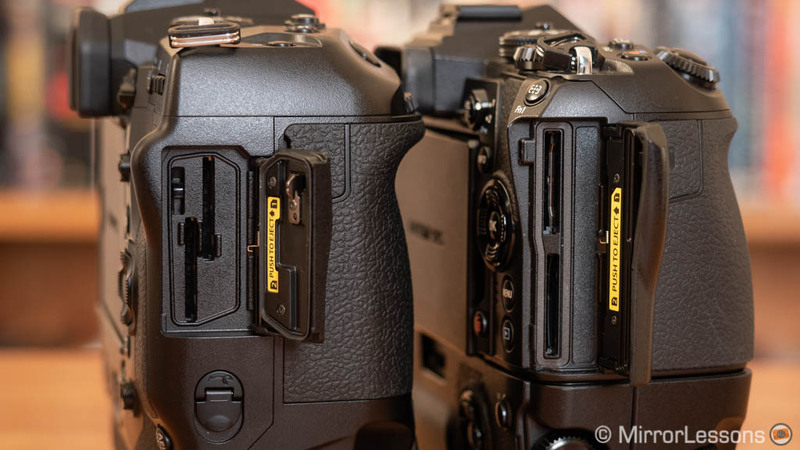 For video, the improvements are not as visible as they were between the original E-M1 and the mark II model, but some tweaks have been made to the E-M1X that make a difference in specific situations. For example there is a new setting called I.S. 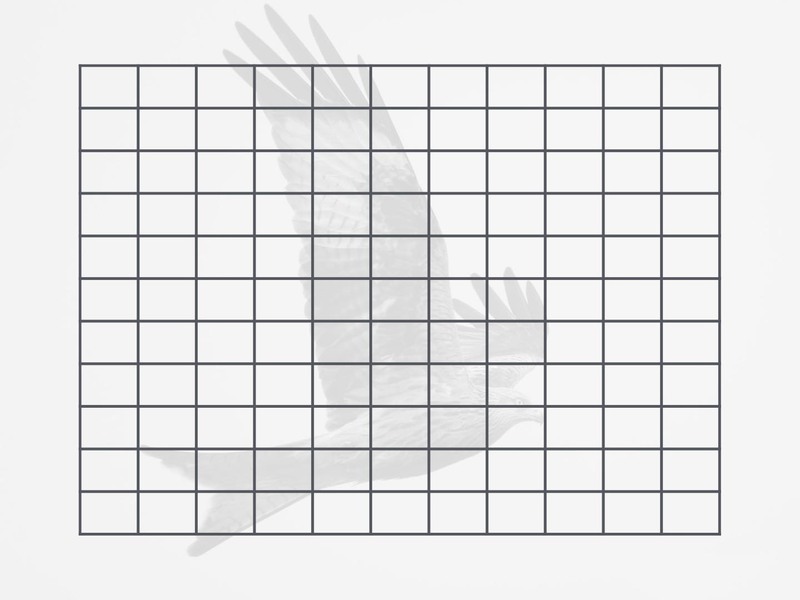 Level that allows you to increase or decrease the amount of correction. -1 (the lowest) makes pan movements smoother. The same setting also helps when circling around a subject. When walking down stairs however, I found level 0 to offer the best result. It seems that +1 works best in situations where the camera moves more quickly and erratically in various directions (horizontal and vertical). Another advantage of the E-M1X is that it produces less of a jello effect with motion. 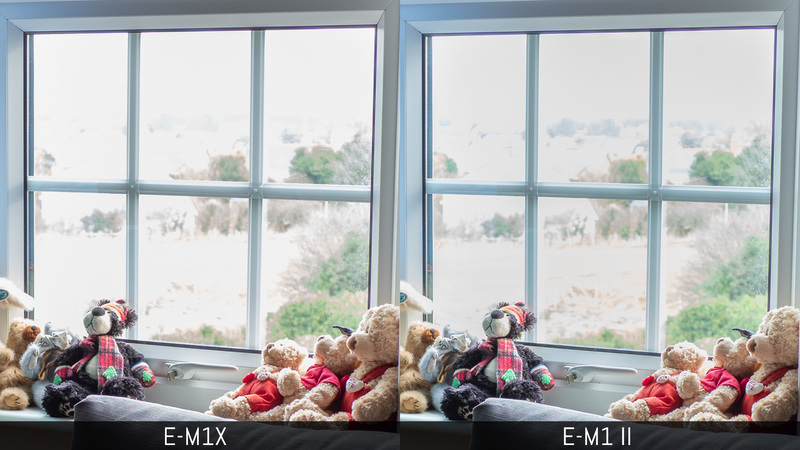 The M-IS1 setting (sensor + software stabilisation) makes the result a bit smoother, whereas it makes less of a difference on the E-M1 II except for static shots. If you move fast and then suddenly stop, the E-M1 II suffers more, whereas the E-M1X is more precise if you’re careful with your movements. Sync IS on the E-M1 II can sometimes lack smoothness in comparison to E-M1X. At the European launch event of the E-M1 II two years ago, I remember attempting a hand-held high resolution shot just for fun. Looking on the back of the LCD screen, it seemed sharp but when inspecting the image on my computer screen later on, the details weren’t perfect. Still it was much better than any attempt you could make with the E-M5 II or Pen F.
Two years later, the hand-held HRS has become a reality with the E-M1X and there isn’t much to say, if not that it works well. In the Menu you need to select tripod or hand-held because the process is different depending on which you select. With the tripod mode, the camera takes eight pictures in a row by moving the sensor by half a pixel, just like the E-M1 II. The output image is 80MP for RAW and 50MP for JPGs. 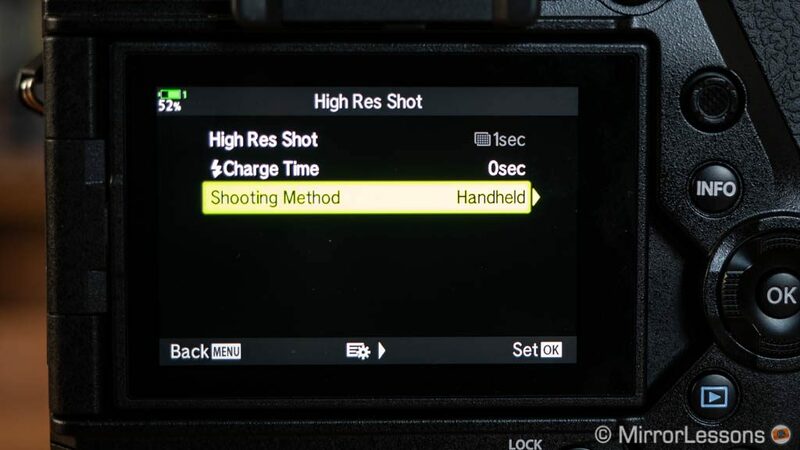 If you choose the hand-held mode, the camera takes 16 shots and uses stabilisation data between each shot to create the final result. The processing time is a bit longer and the maximum resolution is 50MP for both RAW and JPGs. Regardless of the mode you use, the same limitations apply when it comes to movements inside your frame. Too much movement will result in a lack of sharpness (a low res version is used). If movements are too dynamic, the area becomes blurry. Even a subject that appears to be perfectly still can cause imperfections if he or she moves slightly. The maximum aperture available is f/8. The maximum ISO level available is 6400 on the E-M1X and 1600 on the E-M1 II. 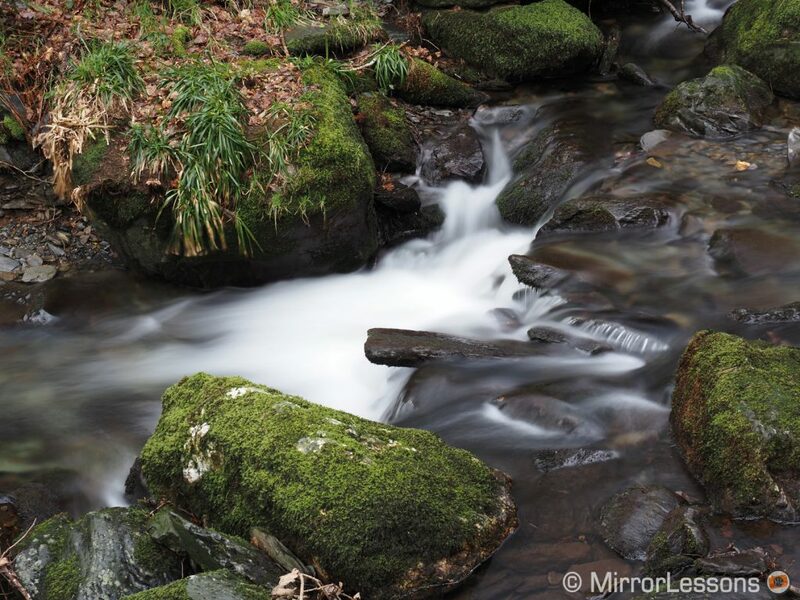 Over the past few years, Olympus has introduced interesting features for long exposure photography. There is Live Time that gives you a preview of your exposure in progress, and Live Composite that records multiple images while saving only the brightest pixels (light painting or star trail effects). The latest trick the engineer team has come up with is called Live ND. 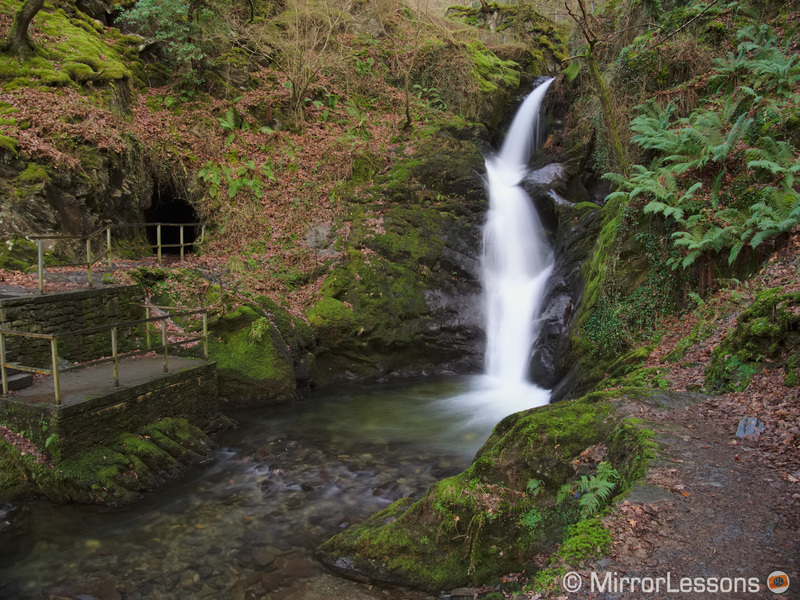 It allows you to take long exposures without the need for a physical ND filter. 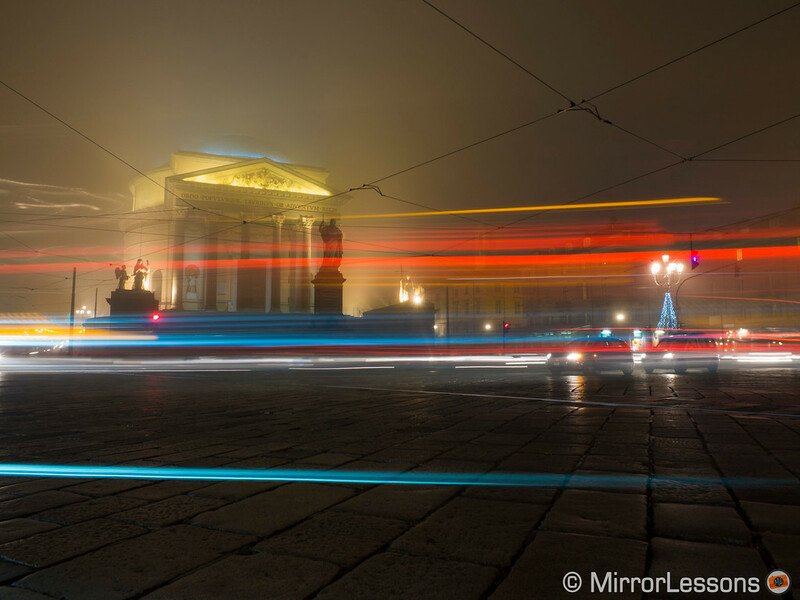 The camera composites multiple frames to create the slow shutter speed effect. You can choose five different levels (from ND2 to ND32, meaning from 1Ev to 5Ev). You can turn on a live on-screen preview to see how the result looks before taking the shot. 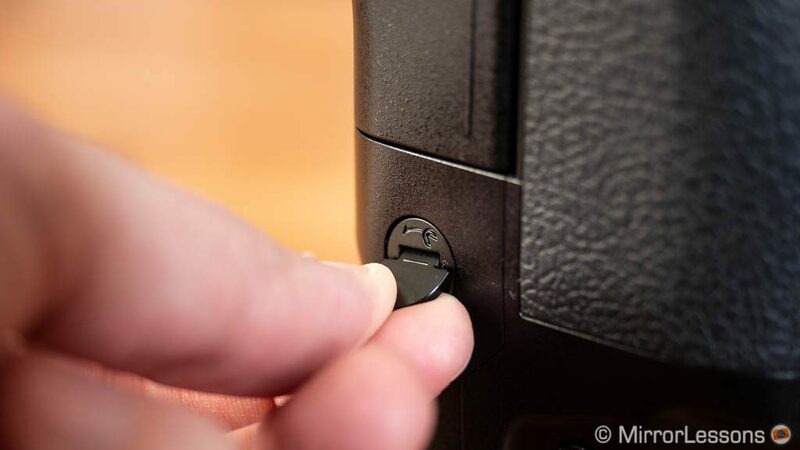 The maximum shutter speed you can use is 1/30s for ND2 and 1/2s for ND32. ISO sensitivity is limited to 800. A hack like this is not entirely new: you can use a similar method with the multiple exposure mode on your camera or by taking a series of shots and stacking them in Photoshop. But being able to do everything in camera in a fraction of a second – and in RAW format to boot – is a lot of fun. It is also handy when mounting lenses that don’t have a filter thread such as the 7-14mm Pro. Thanks to the image stabilisation system, you can take Live ND images hand-held, and that is even more fun! 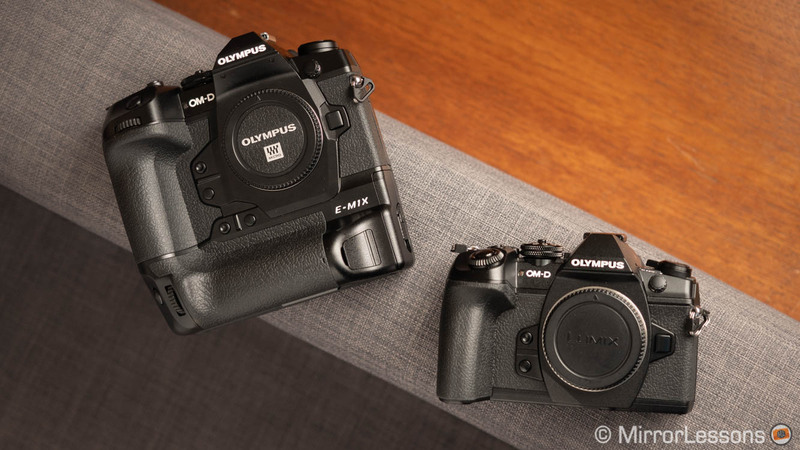 The E-M1 II and E-M1X share the same video specifications. They can record in 4K up to 30p and 102Mbps, or Cinema 4K (DCI) at 24p and 237Mbps (variable frame rate). The flagship model introduces a few improvements however. First I noticed a more balanced colour reproduction which is also valid for skin tones. The flat profile on the X-model is slightly more saturated as well. 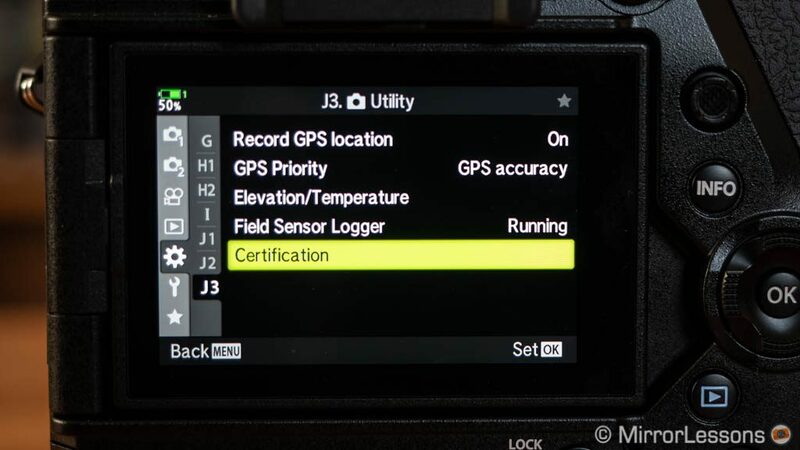 Second the E-M1X introduces Olympus’s first Log profile, the OM-Log which starts from ISO 400 and should offer 12 stops of latitude. The difference with the Flat picture mode doesn’t seem huge however. The ISO range remains the same (200-6400) and noise looks similar on both cameras according to my initial tests. You can set the level of noise reduction in four steps (Off, Low, Normal and High just like for stills). 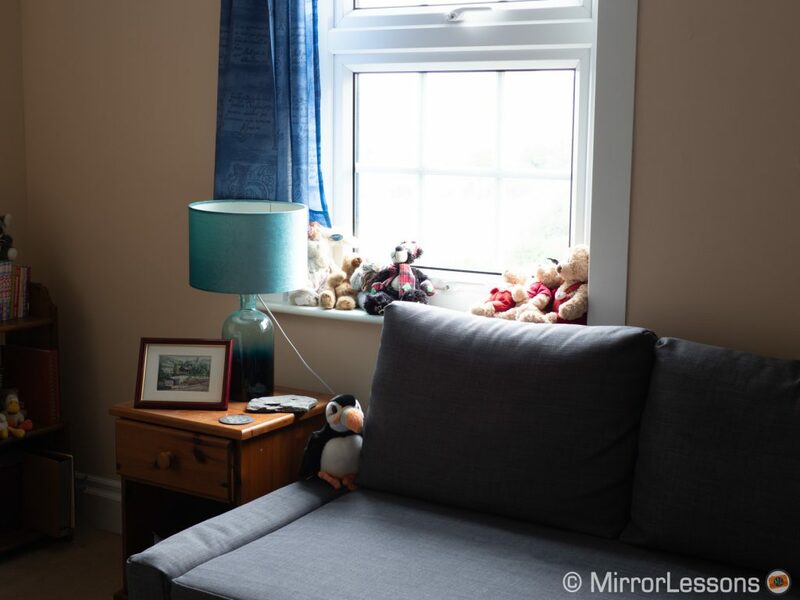 Perhaps the biggest improvement over the E-M1 II is the autofocus: the new camera actively uses phase detection and the improved algorithm makes a relevant difference as you can see below. Face/eye detection is also much faster and reactive. 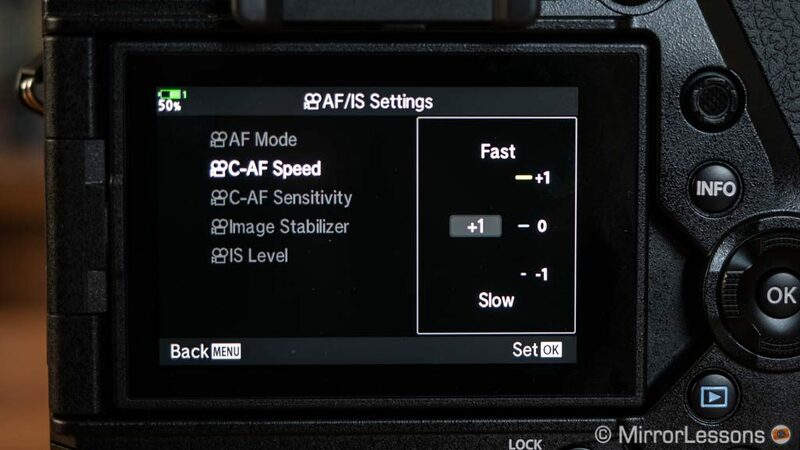 There are more AF Target modes available (9 and 25 groups), as well as dedicated settings to control the AF speed and sensitivity which are not available on the E-M1 II. Another improvement is the possibility to record at 120fps in Full HD. 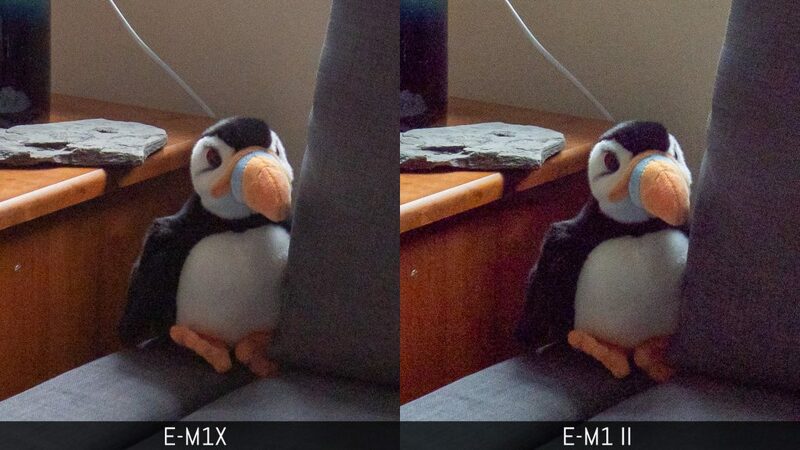 The E-M1 II, by comparison, stops at 60fps. In 1080p both IPB and ALL-I compression methods are available (ALL-I goes up to 30p). You can separate the various stills and video settings such as ISO and white balance, and program custom buttons differently. A mic input and headphone output are available on both products. The E-M1X features an updated version of the E-M1 II Four Thirds sensor with a new coating and an optimised optical design that improves sensitivity. 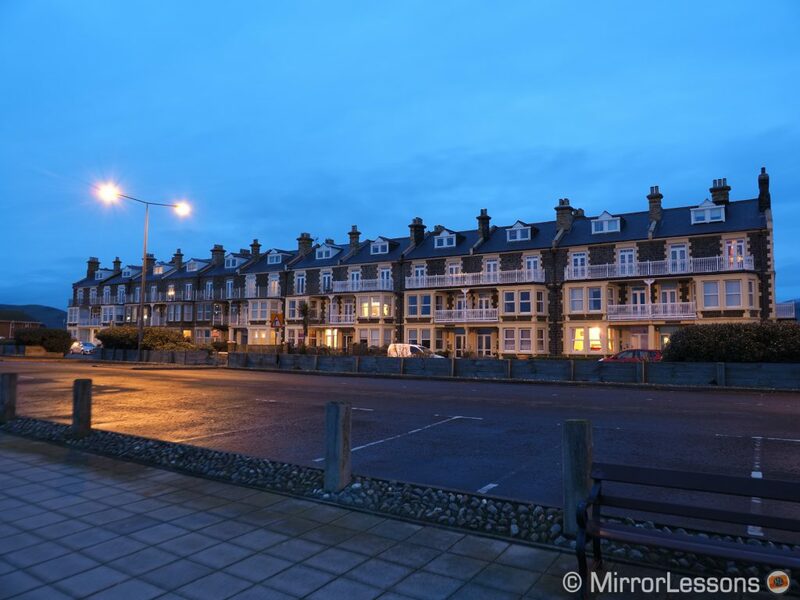 Both the resolution (20.4MP) and the ISO range (ISO 200 to 25600 ISO) remain the same. The new camera lets you select two extended low values (ISO 100 and ISO 64 equivalent) whereas the E-M1 II only has one Low level (64). My first tests revealed better dynamic range in the shadows from the new camera. 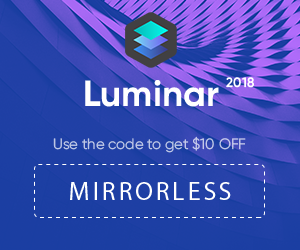 Although there isn’t yet official support, both Luminar and Iridient Developer can open the E-M1X RAW files. I also changed the EXIF data to trick Lightroom into thinking they were E-M1 II files. As you can see below, the flagship model displays better tones with less noise and no magenta cast when making a strong shadow recovery. In the highlights however, it is the E-M1 II that retains a bit more information, although the difference is less significant. I haven’t noticed an advantage at high ISOs however. Both 6400 and 12800 levels have a similar rendering. The resolution of the electronic viewfinder remains the same on both cameras (2,360k dots) but a new optical design allows the E-M1X to have a magnification of 0.83x, whereas the E-M1 II EVF is limited to 0.74x. Note that both values apply with the display style 3 where the info overlays inside the frame. The larger magnification is definitely welcome (the EVF feels really large) but it’s unfortunate that Olympus didn’t take the opportunity to introduce a new panel with a higher resolution. The rear monitors are identical: a multi-angle mechanism with a touch sensitive LCD panel (3 inches, 1037k dots). The E-M1X features built-in GPS, barometer, compass and temperature sensors. 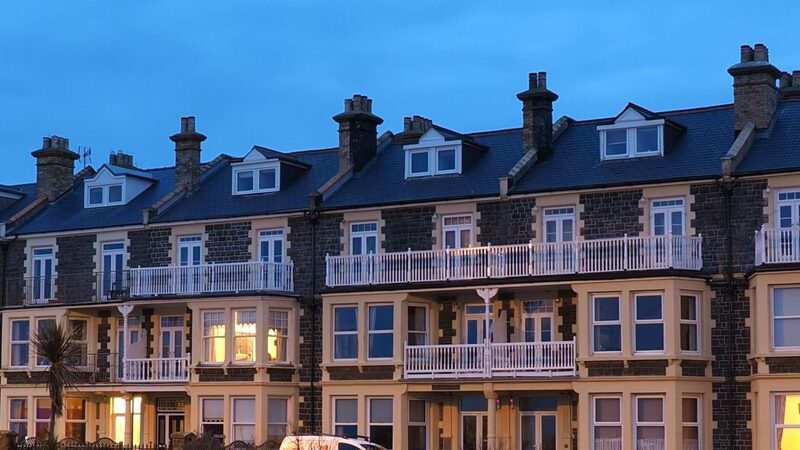 This means you don’t need to connect the camera to your phone or third-party device to record location information. 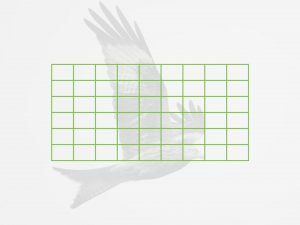 Information such as longitude, latitude, temperature, elevation and direction are recorded in the EXIF data and a log that can be saved to an SD card. You can prioritise GPS accuracy over battery power or vice versa. The E-M1X comes at a higher price. In fact it is the most expensive Micro Four Thirds camera yet at $3000 / €3000. The E-M1 II has seen a decrease in price since its release and can be found for around $1700 / £1400 / €1400. Special deals and cash-back offers can lower the price even more. 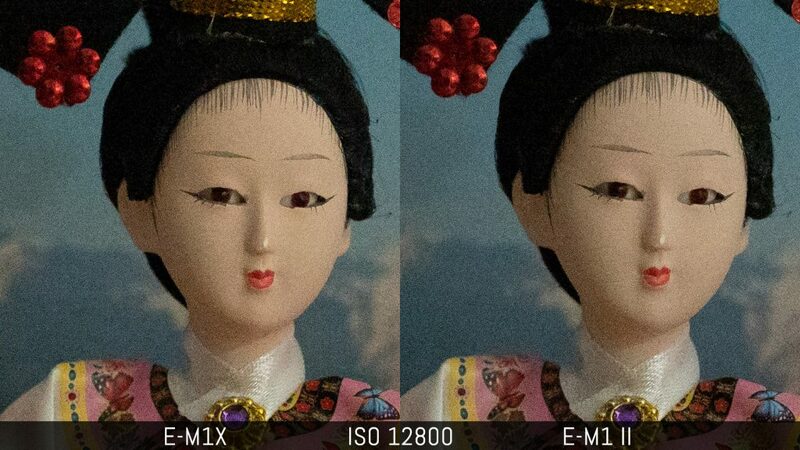 On paper the E-M1 X has better buffer capabilities: it can record 103 RAW or 132 JPG files at 15fps, as opposed to 84 and 117 frames respectively on the E-M1 II. At 10fps, it’s 287 versus 148 RAW images. I also noticed that you can start playing back your images more quickly on the new camera, even when the files are being recorded to the card. We could argue that the E-M1X defies the concept of portability with which Micro Four Thirds users have long been acquainted. 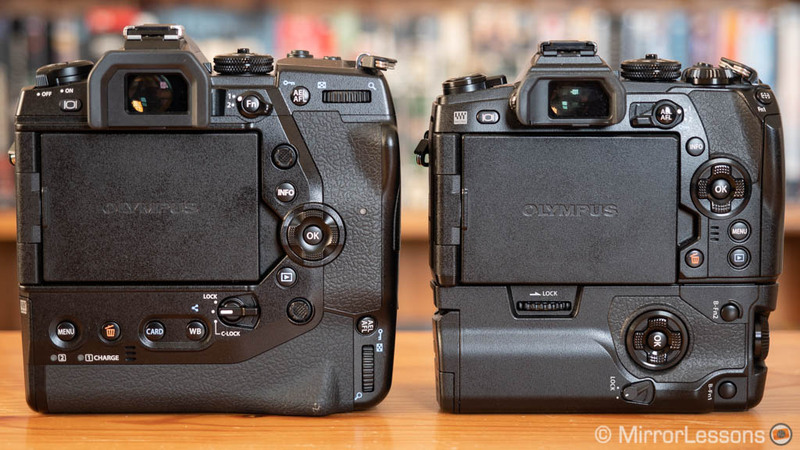 But it’s interesting to note how the concept of compactness has evolved in the Olympus range, at least when it comes to the high-end models. 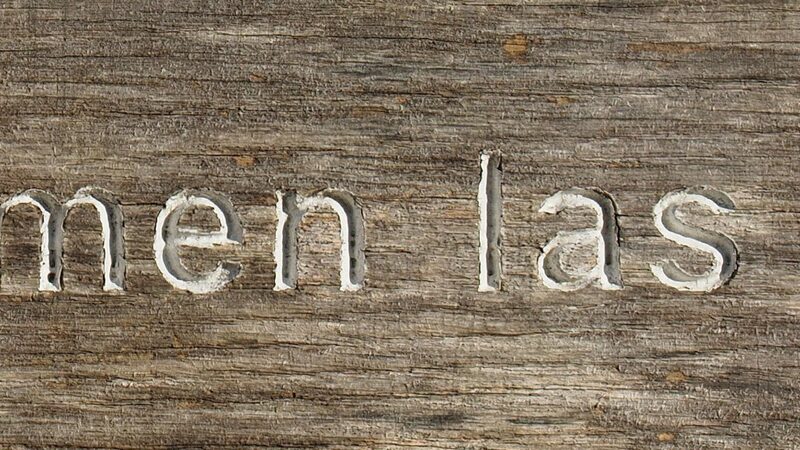 If we look at the system as a whole, which includes the lenses, we can still talk about reduced size and weight as being an advantage. What’s more, this notion is evolving with every advancement in technology. For instance, new features such as Live ND or High Res Shot work hand-held, thus reducing the need to bring a tripod with you wherever you go. 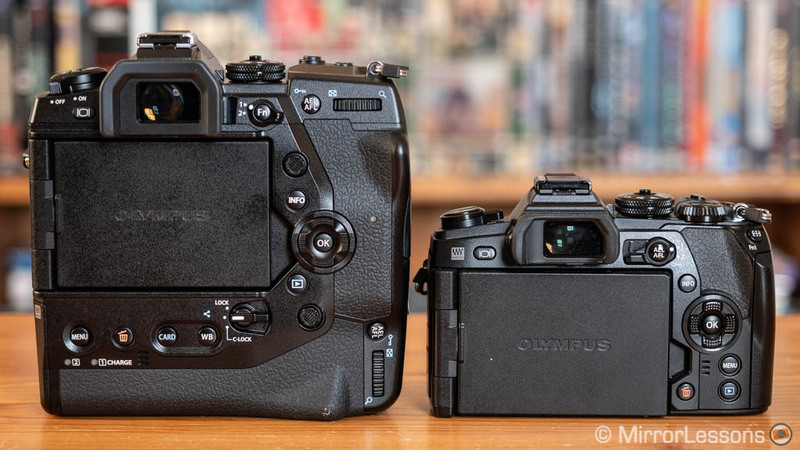 We’re not yet at a point where the photographer’s oldest accessory is ready for retirement, but Olympus seems to be working in that direction more than any other brand. 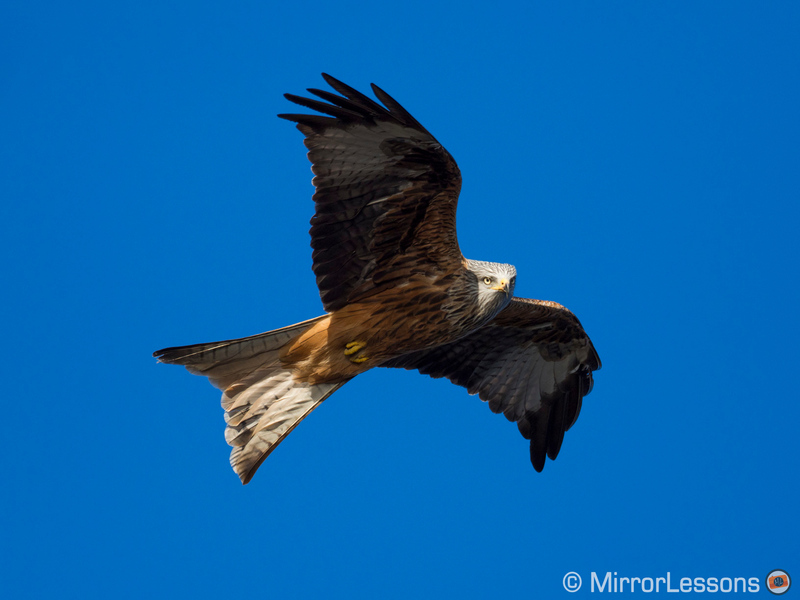 The E-M1X’s larger size brings other benefits too such as a bigger grip, a more complete and ergonomic interface, and a build that is without a doubt the best of any Micro Four Thirds camera – or perhaps even any mirrorless camera – to date. 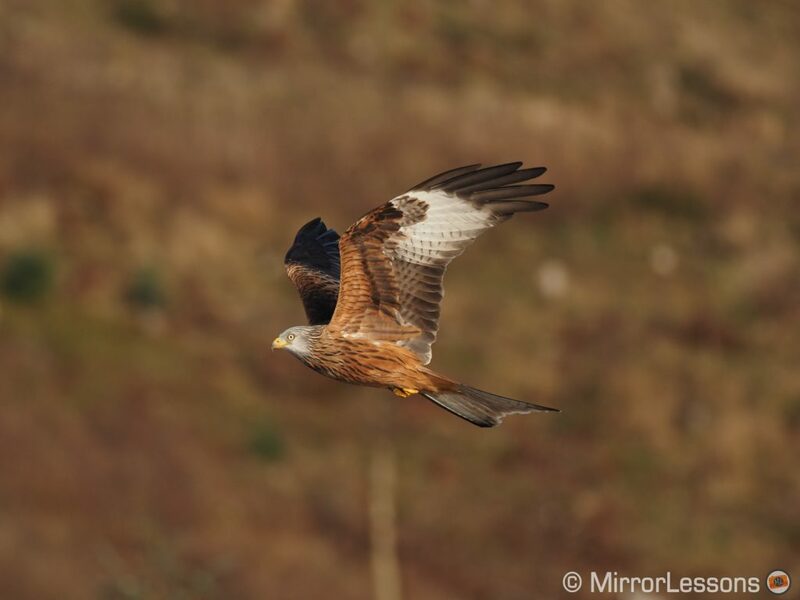 I’m very pleased to see a big improvement in the autofocus department. Olympus is now on equal footing with the competition once more. 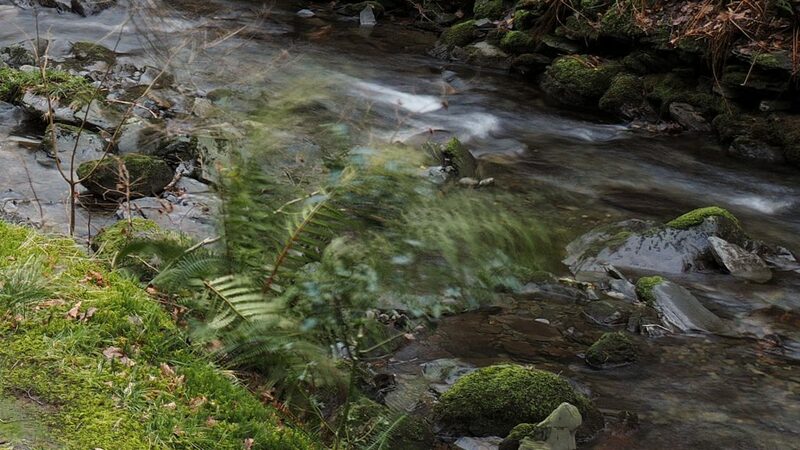 And as for the image stabilisation, these two cameras continue to be in a league of their own. Certainly there is a relevant difference in price. The E-M1X, more than any other camera, targets professional photographers and users who are out in the wild more than they are at home or in an urban environment. My first week with the E-M1X was very positive overall, but I cannot hide that I would have loved to see a few additional improvements. The camera uses a dual processor (two quad-core TruPic VIII processors as opposed to a single one on the E-M1 II) which is responsible for the many enhancements we talked about (AF speed, advanced subject recognition, HRS hand-held, Live ND, etc. ), yet both 10-bit recording for video and a blackout-free live view in burst mode are missing. The latter in particular would have been perfect for this kind of product. I know that constantly comparing camera models can prod us into wanting more instead of appreciating what we have, but it is also a way of measuring how a new camera stacks up against its competitors. The E-M1X does things no other camera can, but it also lacks a few things that are becoming commonplace on other models. Another consideration is that many of these improvements seem to be software based. Although the E-M1 II has just one processor, I can’t help but wonder whether some of these features could come via firmware update later on, albeit in a less advanced form. Well, that’s enough for now – it’s time to get on with our testing! In the meantime, don’t hesitate to leave a comment if you have any questions and be sure to follow us on Instagram as we’ll be posting lots of E-M1X content over the coming days.